If you add "full" (without quotes) there, then it should pick the desired track. It matches based on track name. Put it in front of any language codes to give it highest priority. Also enable option to allow override external splitter choice. The 2 means select second subtitle track. Of course this may select wrong sub for other sets of videos, so don't forget to change it after watching this series. 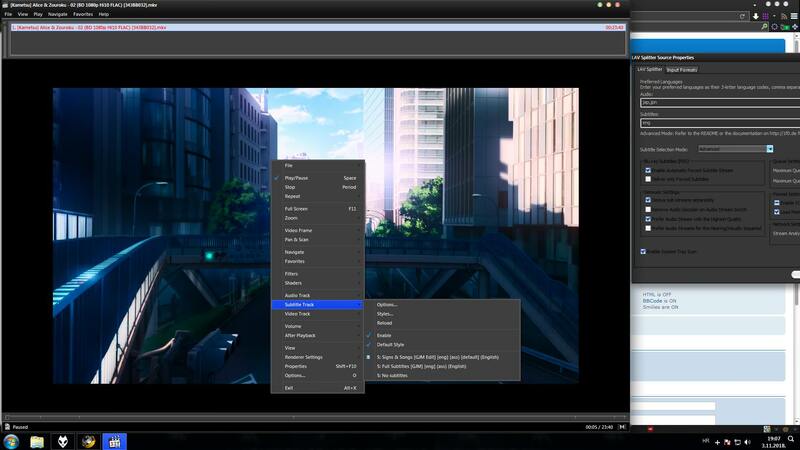 Another solution is to modify the mkv file to change the default subtitle track. This is possible with header editor function in MkvToolNix software. Simple is best , "2" worked great! If you have any experience with scripting, it's pretty easy to change the track defaults with a batch script. This is my preferred method because it's not video player dependent. This methods require the use MKV Toolnix. a1 is the first audio track, a2 is the second, etc. s1 is the first subtitle track, etc.